Featuring private accommodations, a garden, a seasonal outdoor pool and a hot tub, Les Batiments is located in Rochechouart. 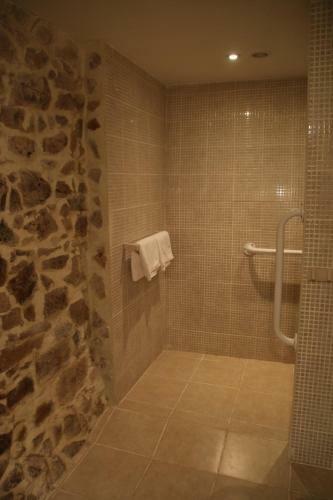 Housed in a building dating from 19th century, the holiday home is in an area where guests can engage in activities such as cycling and fishing. A park with a fishing lake is also provided. 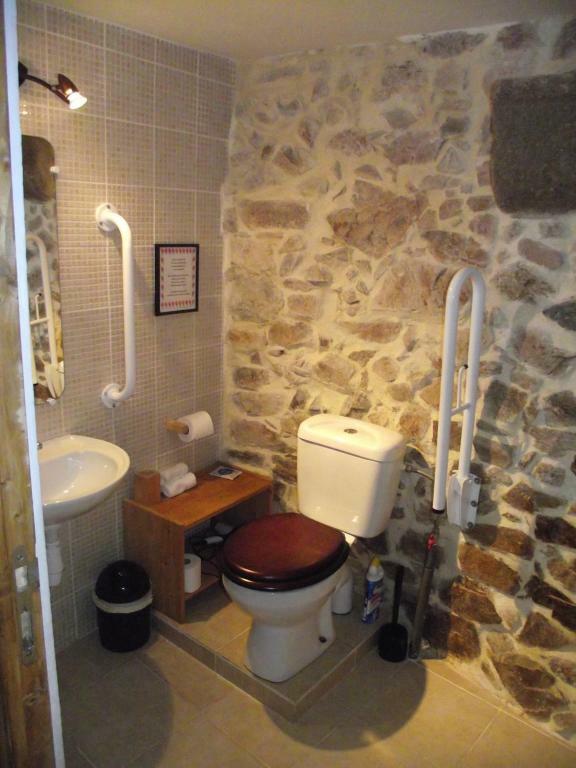 The holiday home has a flat-screen TV with satellite channels, a well-equipped kitchen with a dishwasher, and a bathroom with a hair dryer. 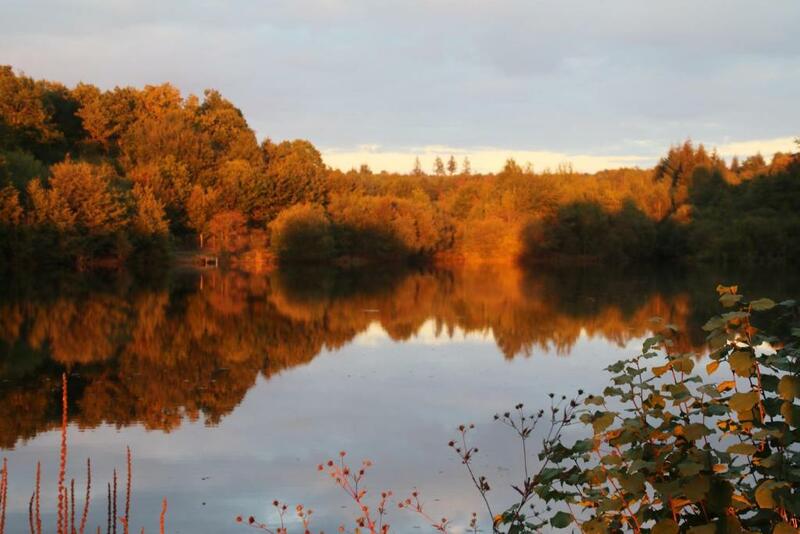 The private lake is stocked with carp and other silver fish and equipment is available to hire. Restaurants and shops can be found in the town of Rochechouart, located 3.7 mi from the property. The nearest airport is Limoges International Airport, 15 mi from the property. 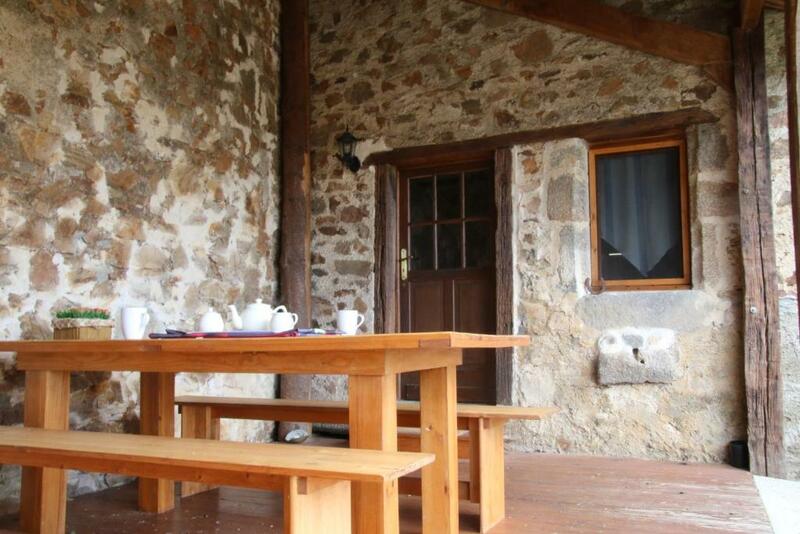 When would you like to stay at Les Batiments? 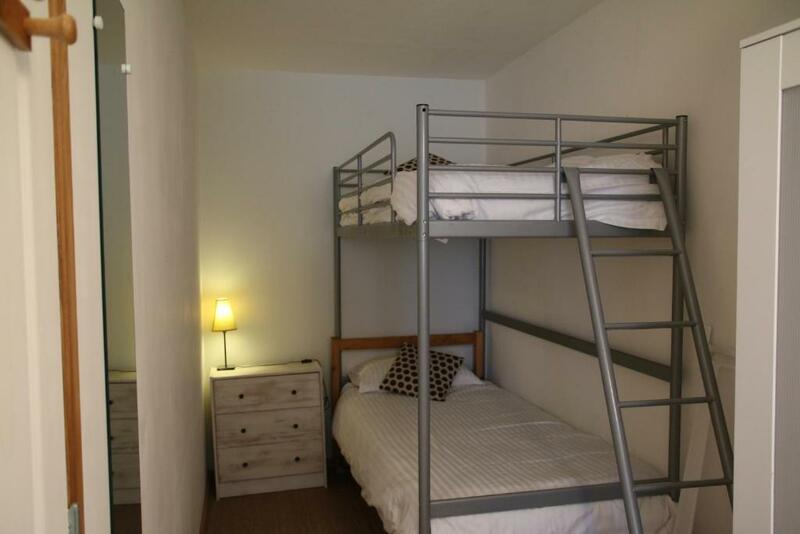 This holiday home features 4 bedrooms, 3 bathrooms and a fully equipped kitchen. A garden with a swimming pool and a private fishing lake can also be found on site. Our house is set within a huge private estate which includes a 6 acre private fishing lake and is on the edge of the Forest of Rochechouart where we are surrounded by open fields and farmland. 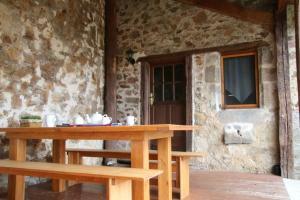 This gives us a very peaceful and secluded setting whilst still being only 5 minutes drive from the nearest town. 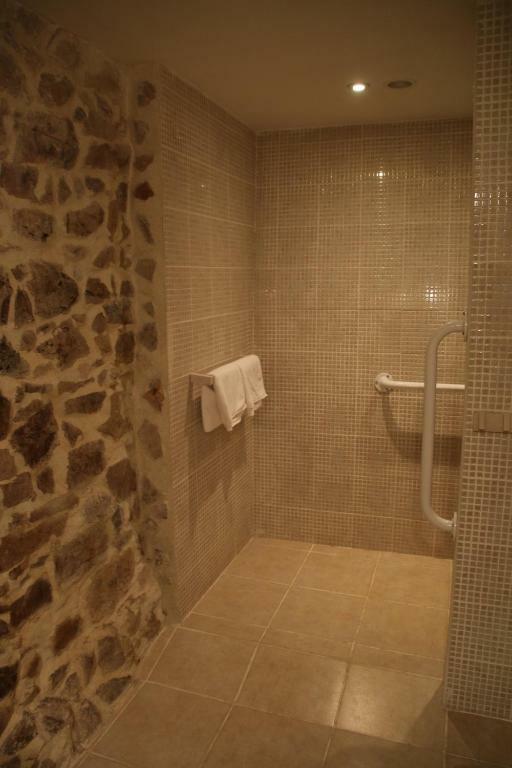 The whole property is a typical french building with deep stone walls and small windows. It was once a monastery with a small chapel attached, although this part of the building was removed at some point in it's history. 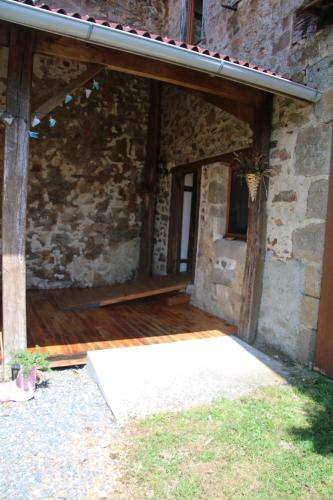 The gite accommodation sits within the huge barn, attached to the house. 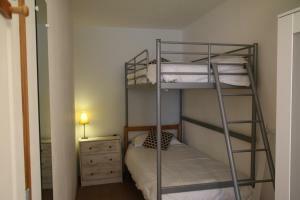 It has been tastefully renovated and offers all the comforts of home and more. Our fishing lake is for the use of our guests only and as well as attracting anglers it adds to the beauty of the estate and provides a tranquil setting for a walk or picnic. After many years running our successful outdoor activity centre in Hertfordshire we have now been able to realise our dream of living in France. We are currently learning the language and integrating with the local inhabitants. We plan to continue our hobbies of Target Archery and Air Gun shooting as we are now lucky enough to have room within our own grounds to pursue these sports. Having spent a great many summer and winter holidays in France skiing, kayaking, swimming and walking we are now be able to take full advantage of living here to continue with these activities as well. Rochechouart town, only 5 minutes drive, is dominated by the huge Chateau which now house a modern art gallery. It also has an ancient eglise with a twisted spire, only two of which exist in France, and many interesting shops and restaurants. Within 15 minues drive is the larger town of St Junien with many restaurants and shops plus large hypermarkets. We are only 30 minutes drive from the city Limoges which as well as being very convenient for air travel is also a great town for eating & entertainment and has a zoo and aquariium. Being situated on the edge of 3 departments, Haute-Vienne,, Dordogne & Charente we are within driving distance of many tourist attractions such as Videix leisure lakes with beaches & boating, Oradour sur Glane, Chassenon Roman Baths and Futuroscope theme park, also many quaint and interesting towns and beautiful riverside settings. My personal favourites are Brantome, Aixe sur Vienne & St Junien. House Rules Les Batiments takes special requests – add in the next step! Please inform Les Batiments of your expected arrival time in advance. You can use the Special Requests box when booking, or contact the property directly using the contact details in your confirmation. We need at least 5 reviews before we can calculate a review score. If you book and review your stay, you can help Les Batiments meet this goal.